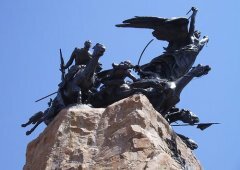 Mendoza is located at 750 meters above sea level, in the western central part of Argentina, in the Cuyo region. 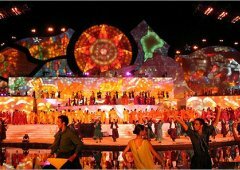 Our country has a population of 40 million people, while in Mendoza live about 1,5 million people. 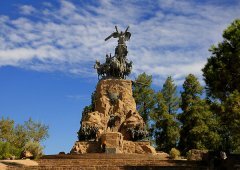 We leave the hotel to explore the city of Mendoza and discover its past. Visiting Plaza España, with its original "mayólicas" from Spain, Plaza Italia where in February the "Festa in Piazza" with its typical food and dances from Italy is celebrated, Plaza Chile, Plaza San Martin and Plaza Independencia where many mendocinian festivals take place. 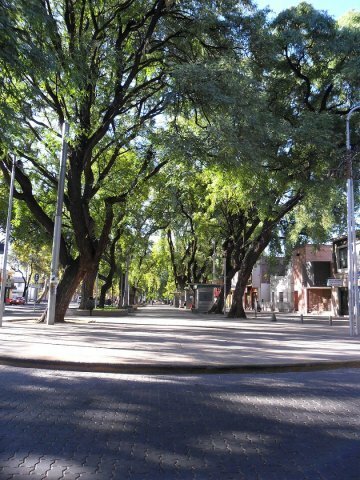 Afterwards we will see the pedestrian street Sarmiento with several shops and cafes where many local people meet at midday, before the “siesta” (typical for Mendoza). Walking along the main street, San Martin, we will get to the old part of the city. We go back in time, exploring the foundational area (Mendoza was founded in 1561 by Pedro del Castillo), and we'll have the option of visiting the museum. A major earthquake devastated the original foundational area in 1861, being afterwards rebuilt and moved to the west, where the new Mendoza is nowadays. 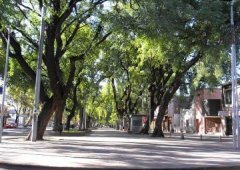 The destruction of the city caused the implantation of more trees and squares that serve not only to improve safety but also for a better quality of life and gives Mendoza the characteristics of an oasis. 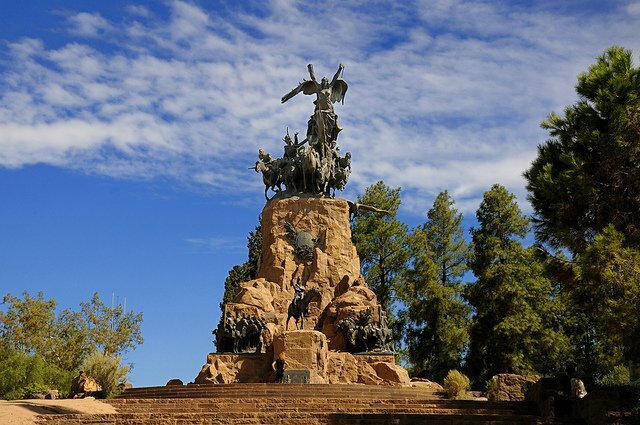 Passing through the forged iron gates, imported from Scotland for the Centenary, we access the vast and beautiful General San Martin Park. 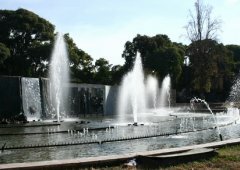 The park was designed by French landscape architect Charles Thays, inaugurated in 1909 and extended with a zoo in 1940. 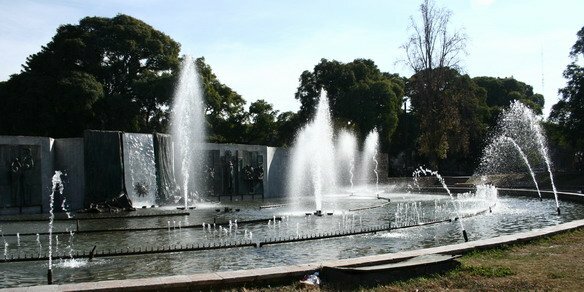 Since then it has been the most important oasis and lung of the city of Mendoza. Going up a lovely road next to the zoo access, we will arrive at the Gloria Hill. 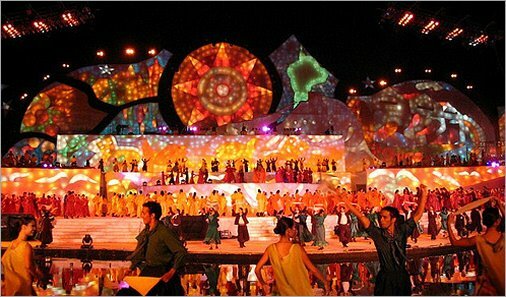 From there, we can see the Frank Romero Day Amphitheater, where the final show of the Harvest Festival takes place. "We were very happy with our guide who was gracious, professional and knowledgeable, the driver and van, with the selection of wineries and with the lunch. We were more interested in getting a tour of the countryside than visiting a specific winey and the 4 wineries that we visited were quite different, which was nice. It was a good day and the time was about right for us. Mendoza is a beautiful and unique city and we were fortunate to be there during the wine festival. We enjoyed all of Argentina and were sad when it was time to leave."